It is very handy to have tablets like iPads around in the kitchen. You can easily watch demo videos and access recipesÂ from your favorite websites without having to print them out. The only problem with using an iPad in the kitchen is that it is quite an expensive cookbook and there is always a risk of spilling something on it or coating it with flour or sugar while you’re working. These kinds of stains always make traditional cookbooks look like they’re referenced often because they have great recipes inside – but they are less charming on a tablet that costs hundreds of dollars. You can use stands and mounts to keep your tablets visible while keeping them out of harm’s way – but when the screen goes dark, you really do need to touch it to bring it back to life. 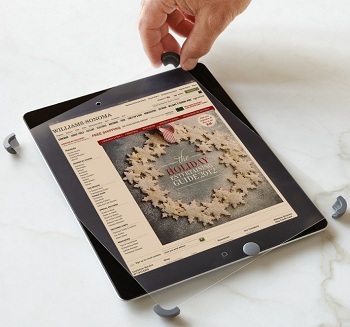 So, in addition to that stand, you will want to use something likeÂ Williams-Sonoma Smart Tools iPad Screen Shields. These screen shields were developed by Williams Sonoma to allow modern cooks to get closer to one of their favorite new kitchen tools. They affix to the regular iPad screen to protect them from grease, water and anything else that might get on them while you’re cooking. The shields are clear and anti-glare, so it is easy to read the screen through them, and you can also use the touch features of the tablet without worrying about fingerprints. They’re removable and reusable, so you can peel it right off and give it a good wipe down before the next time you need it, leaving your iPad looking like new. 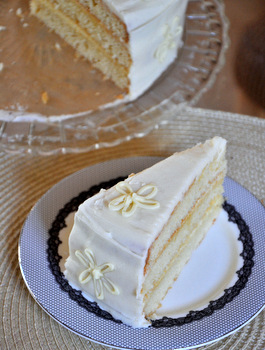 Are Premium Cake Mixes Worth the Price? Next PostNext Are Premium Cake Mixes Worth the Price?